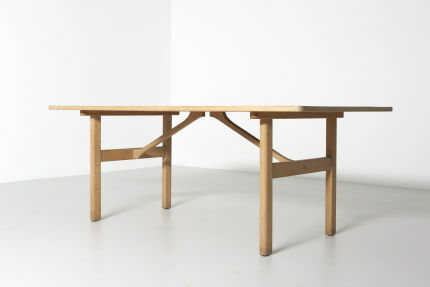 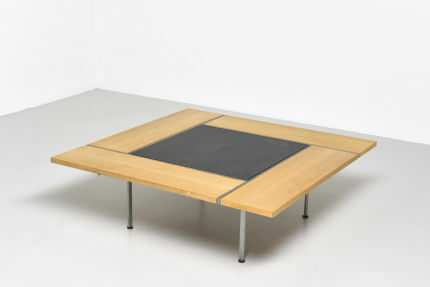 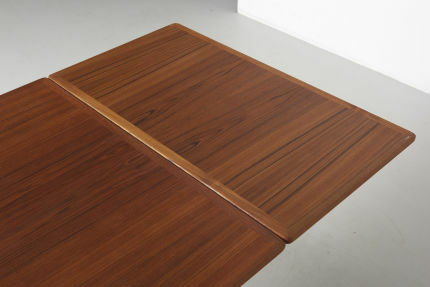 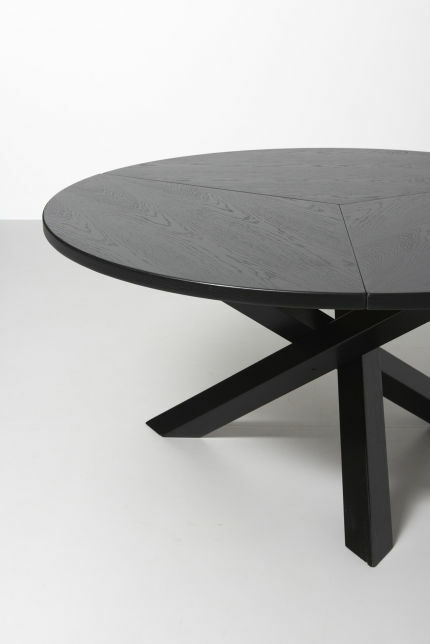 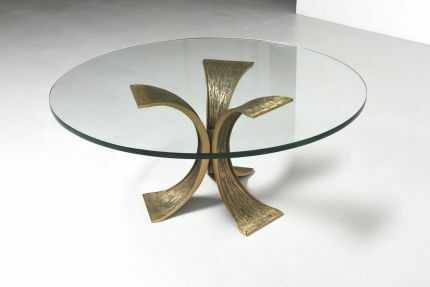 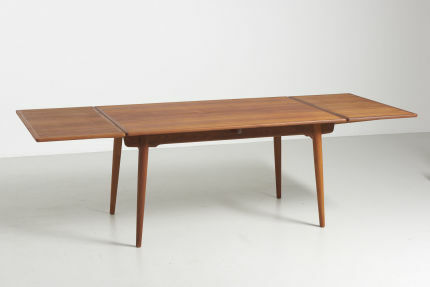 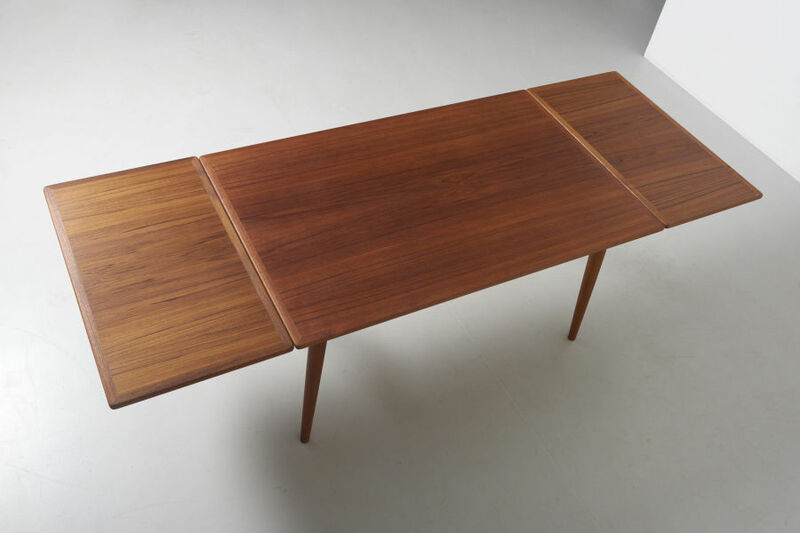 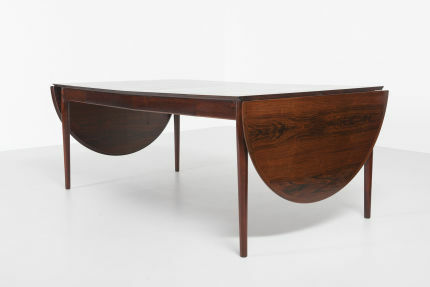 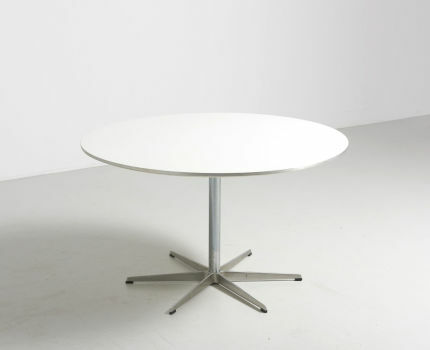 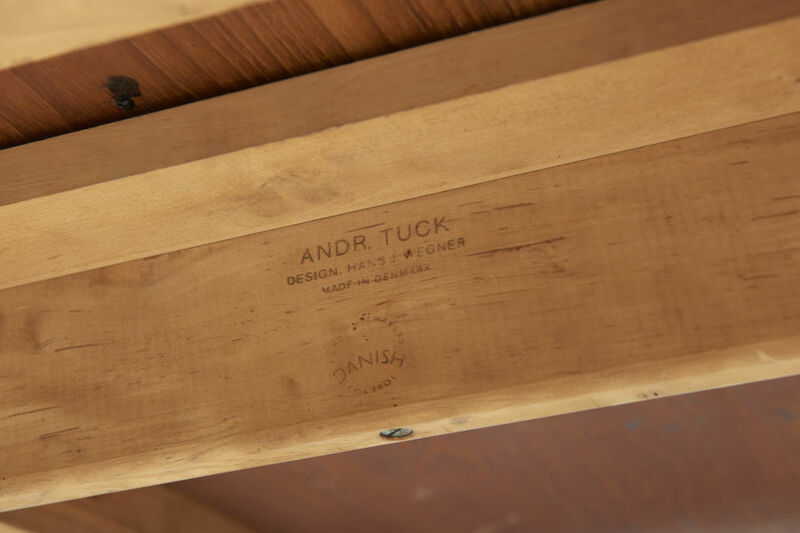 A dining table by Hans J. Wegner with 2 extension leaves of 50cm each. 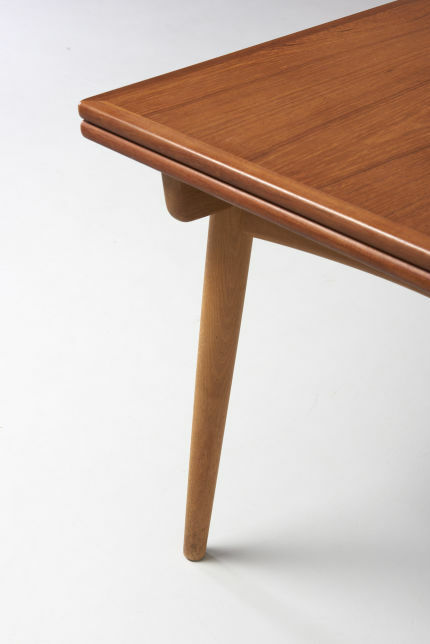 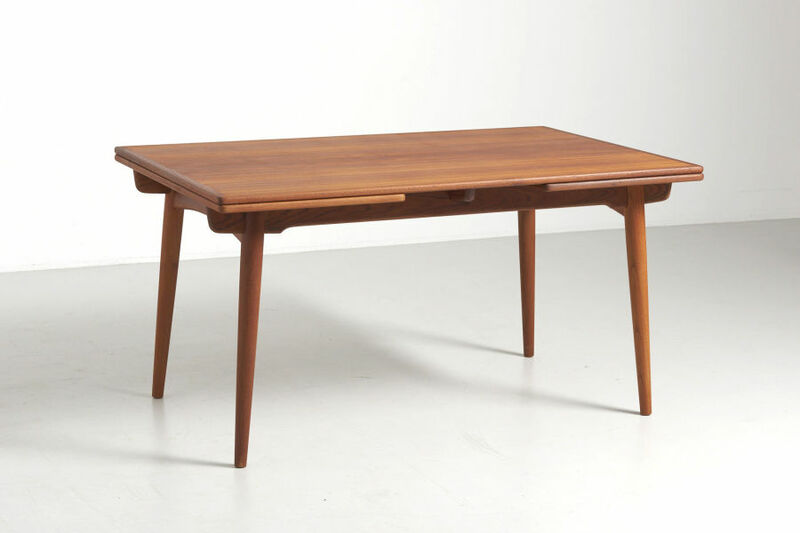 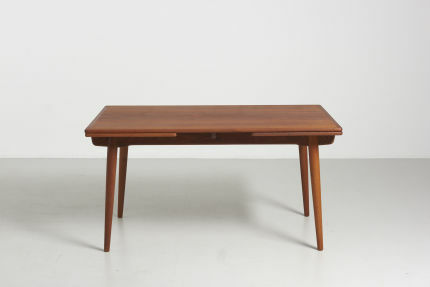 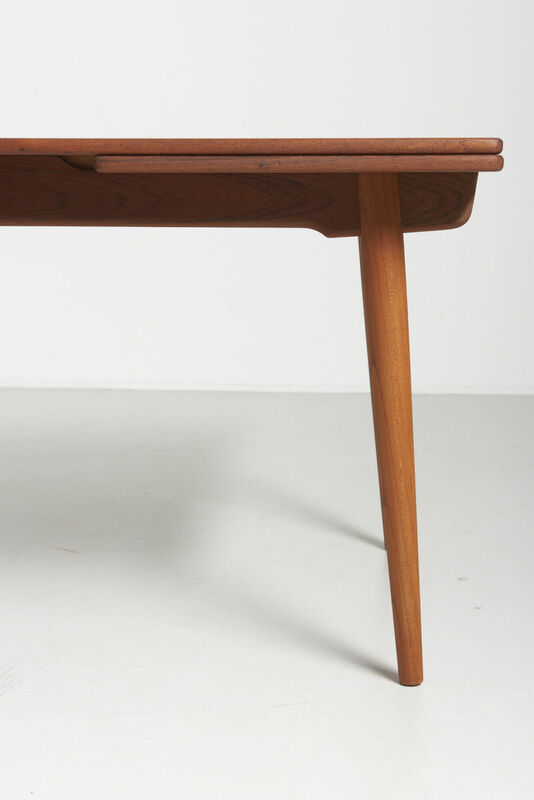 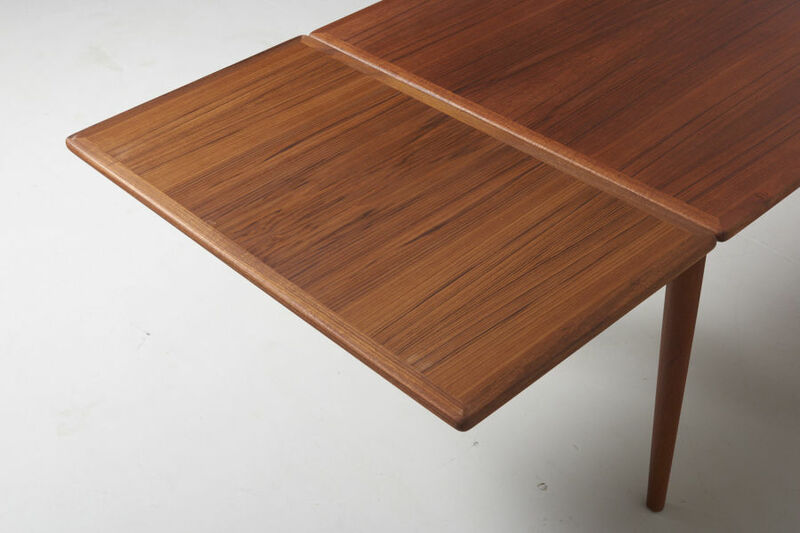 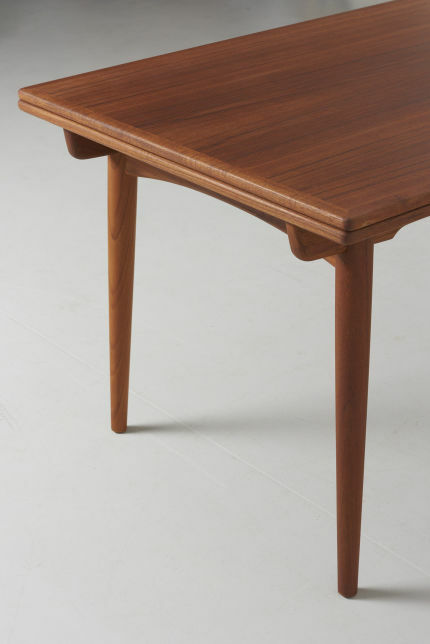 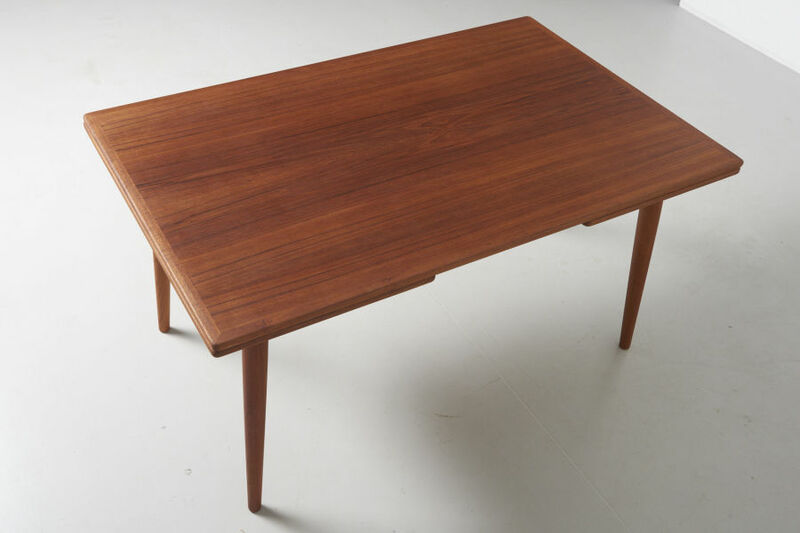 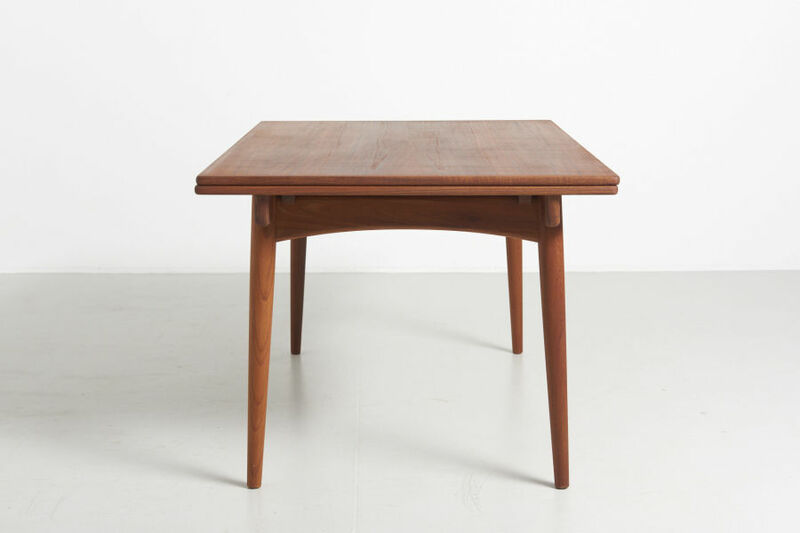 Legs and table top in teak. Model AT 312, produced by Andreas Tuck. Made in Denmark.